Charles was president of the 1978 graduating class from Indiana College of Mortuary Science. He has been an Embalming Practicum Instructor for the St. Louis Community College, Funeral Services Program, since 1988. He is a member of Holy Trinity Catholic Church in Fairview Heights. Charles currently serves on the Ethical Practice Committee of the Illinois Funeral Directors Association, as a member of the Business Alliance Commission for the City of Fairview Heights, on the Board of Directors for Community First Bancorp, a member of the St. Louis Sports Commission. He has devoted his time to serving on the board of directors of organizations: Parents and Teachers of Exceptional Children, SAVE, Inc., Hospice of Southern Illinois, Inc. and the Holy Trinity Catholic School Board. Past chairman of the Ethical Practice Committee for the Illinois Funeral Directors Association, past president of the Fairview Heights Chamber of Commerce, past president of the Fairview Heights Rotary Club and a former member of the Parent Leadership Council for the University of Missouri-Columbia. Charles and his wife, Jennifer, live in Fairview Heights. They have three children, Peter, Carolyn and Adam. A graduate of Benedictine College in Atchison, Kansas, with a B.A. Degree in Biology and the Indiana College of Mortuary Science, James joined the family business in 1978, becoming a partner in 1984. He contributes to the community through his past service with the with the Cahokia Chamber of Commerce, the Cahokia Jaycees, and the Cahokia Homecoming Association. Jim has served on the Executive Board of Hospice of Southern Illinois and Executive Board for Illinois Extension for Madison and St. Clair County. For 6 years, Jim coached AHAUS (Mite) Hockey and later coached Soccer at Parochial, Recreational and Select Level for Bel-Clair, SISL and SYLSA Leagues for 26 years. He is a member and current Trustee of Blessed Sacrament Catholic Church in Belleville and the Cahokia Knights of Columbus. Jim and his wife Dolores live in Belleville. They have a son and daughter, James J. and Renee. Mark joined Kassly Mortuary in 1987 as a Licensed Funeral Director/Embalmer. He graduated from St. Louis Community College at Forest Park with an associates degree in Funeral Service. He became manager of the firm in August 2004. He is also a licensed insurance producer. He is a member of Holy Trinity Catholic Church and served as the Athletic Director for the parish for 10 years. Mark served as a Director with the Fairview Heights Chamber of Commerce. He is a member of the St. Louis Sports Commission. Mark currently serves on the Board of Directors of Camp Ondessonk as well as serving on the Finance Committee for the camp. He has served Past President of the St. Clair County Funeral Directors Association. 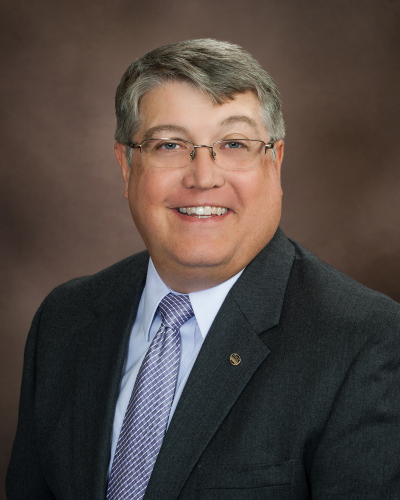 Mark has also served as a Regional Director, Secretary/Treasurer, Vice-President and President-Elect of the Illinois Funeral Directors Association. He currently is serving on the Illinois Funeral Directors Association Board of Directors as President. Mark lives in Fairview Heights and has 2 sons, Jay and Alex. His wife, Terri, passed away on September 26, 2017 in Paris, France while celebrating their 35th wedding anniversary. Jay lives in St. Louis, MO, his children Kailey, Daniel and Benjamin. Alex is married to Renee (nee Gore) and lives in Fairview Heights, with their children Caleb and Gwen. The entire family are avid sports fans. 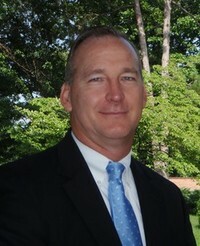 Kevin is a 1979 graduate of Quincy College, Quincy, IL with a B.A. degree in Sociology. He worked as a police officer in Fairview Heights from 1980 -1986. 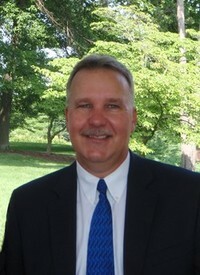 He has served area families as a fifth generation Funeral Director with the John Barnes Funeral Home in Belleville, IL. Kevin graduated from the Mortuary Science program at St. Louis Community College at Forest Park in 1988. Kevin continues his family's commitment and tradition of serving area families since joining the staff at Kassly's in May, 2003. He is a member of Blessed Sacrament Catholic church in Belleville and the Elks Lodge #481 in Belleville. He is an avid softball player, golfer, and fisherman. 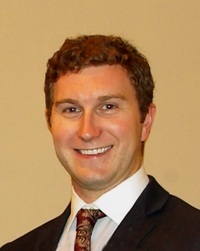 Kevin is a past President of the St. Clair County Funeral Directors Association. Kevin lives in Belleville with his wife Lori, they have three children Adam, Katie, and Carrie. Pete joined Kassly Mortuary in 2013 as a Licensed Funeral Director/Embalmer, but has been with the Mortuary for a number of years. He was a graduate of Althoff High School in 2005, he received his Business/Management Degree in 2010 from Lindenwood University in St. Charles, MO, and in 2012 he received his Mortuary Science degree from St. Louis Community College, Forest Park, MO. He is a member of Holy Trinity Catholic Church, Fairview Heights and Holy Trinity Men's Club. Pete has served as Secretary/Treasurer, Vice-President, and President of the St. Clair County Funeral Directors Association. He and his wife Erin live in Fairview Heights, IL. James J. Kassly joined the family firm in 2015 and is proud to be a fourth generation funeral director. He attended Blessed Sacrament Grade School in Belleville before graduating from Althoff Catholic High School. He received his degree in Psychology in 2006 from the University of Illinois in Urbana/Champaign. Jim earned his degree in Mortuary Science from Worsham College , Wheeling, IL in 2015. He graduated at the top of class. He proudly serves the greater community and is looking forward to continuing the family business with his cousin Peter. He resides in Belleville and is a member of Blessed Sacrament Church. Jim is an avid soccer and softball player. He enjoys traveling, movies, and listening to live music. 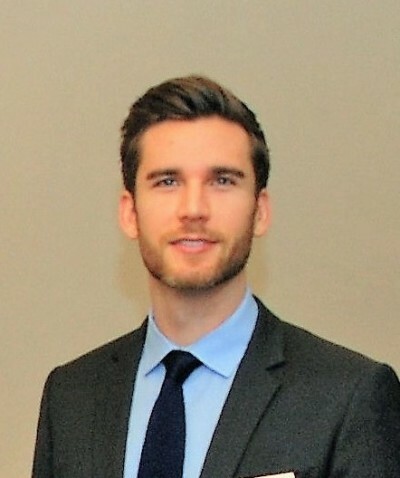 Jamie joined the staff in March, 2008. She has worked in the funeral industry for many years. Jamie assists family members with filing insurance claims and other paperwork. She is a very compassionate person and is always willing to help families. Jamie is originally from Pinckneyville, IL and is a graduate of Pinckneyville High School and attended the Commonwealth Institute of Funeral Service in Houston, TX. She currently lives in Nashville, IL with her husband Dan and their 3 sons. Julie joined the Kassly staff in 2014. She is a caring person and greets each family with compassion and warmth. She is originally from Maryville, IL and is a graduate of Collinsville High School. Following graduation she attended Hickey Business School and worked as a legal secretary for several well-known attorneys in the Metro East area. She is a member of St. Clare of Assisi Catholic Church in O'Fallon, IL. Julie likes walking , shopping, but most of all spending time with her family. She currently resides in O'Fallon, IL with her husband Dean and their children Wyatt and Carter.